Everyone in the mesothelioma community hopes for a cure. Yet, there has been a shift in focus to create a reliable maintenance treatment as a necessary mile marker on the way to that destination. Immunotherapy is among one of the emerging treatments that seem destined for this role. Immunotherapy advances have been ramping up optimistically in the past couple years. There are multiple clinical trials underway and specialists have hope that it will be the next breakthrough in managing the disease. There are already patients who seem to be benefiting from these treatments. Immunotherapy is a way of getting the body’s own immune defense systems to lock-on to mesothelioma cells and wipe them out. Sometimes immunotherapy is prescribed with the hopes of simply preventing tumors from getting any bigger or spreading, even if the tumor isn’t wiped out. Maintenance therapy allows patients to live longer with mesothelioma, an approach that has been used successfully with many other diseases. For example, people who suffer from diabetes have significantly longer life expectancies now than they did in previous decades by simply taking a management approach. It’s more like learning to crawl before you start walking. Many mesothelioma doctors are beginning to advocate this approach to mesothelioma as well, and the next step is the development of an effective maintenance therapy. When doctors talk about maintenance therapy, they mean minimizing the cancer and managing it from there so it doesn’t spread again. Although the search for an effective maintenance therapy means keeping mesothelioma at bay rather than eliminating it, it doesn’t mean researchers aren’t working toward a cure. It’s more like learning to crawl before you start walking. Specialists, like Dr. Robert Cameron, believe patients can maintain a high quality of life and live for years with their disease. 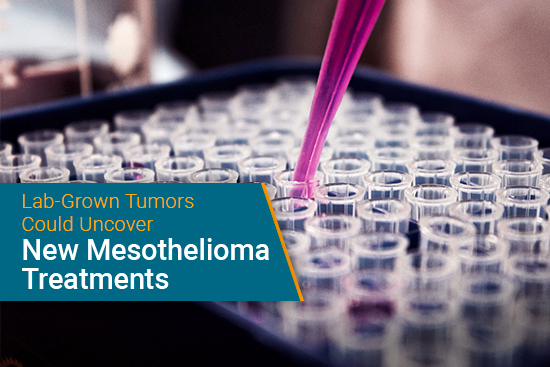 In fact, the mesothelioma program at the University of Los Angeles Medical Center, which Dr. Cameron leads, has been on the frontier of immunotherapy treatments for mesothelioma patients for a long time. In a Youtube video from 2009, Dr. Cameron explained the maintenance approach taken at UCLA. “Maintenance therapy is an ongoing, continuous daily medication that we give to patients…that basically controls the tumor cells that are left and that keeps them at bay,” he said. With a few exceptions, surgery for mesothelioma seems to have reached its limitations in survival. 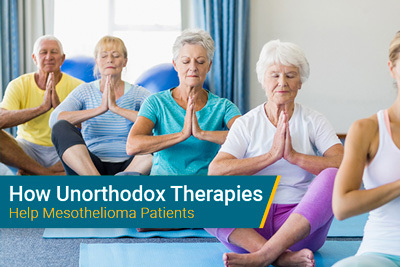 The addition of complementary treatments, such as chemotherapy, have been essential to making surgery viable and improve the survival rates of mesothelioma patients. As Dr. Cameron explains in the video above, the reason surgery works has to do with the addition of other treatments. However, patients who aren’t eligible for surgery must look to other methods of treatments. Luckily, treatments for those who can’t have surgery are getting better, and immunotherapy may be the answer. Just last year there was a major breakthrough in an immunotherapy drug known as SS1P. Dr. Raffit Hassan of the National Cancer Institute published the first exciting results of this treatment finding that most of the participants in the study experienced a regression in their tumors and tolerated the drug with minimal side effects. “Our recent work has shown that SS1P in combination with [chemotherapy] can result in durable tumor regression in patients with advanced mesothelioma and opens up the possibility that such an approach can benefit patients with many common cancers,” said Dr. Hassan and his colleague Dr. Ira Pastan in a recent report. 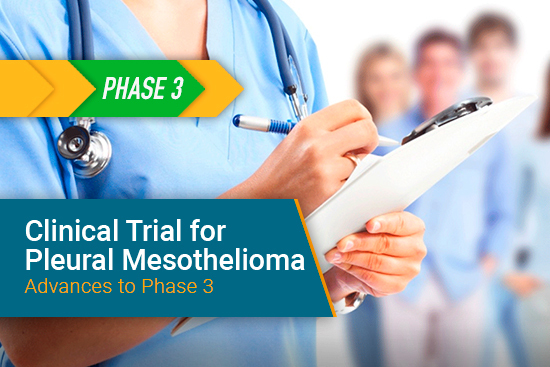 What this all boils down to is the importance of clinical trials for mesothelioma patients. Immunotherapy is still experimental, but patients are living longer with their disease thanks to clinical trials. The maintenance approach to treating mesothelioma is becoming more effective year after year. There’s no telling when researchers may crack the code to find a universally reliable therapy. But one thing is for certain—every top of the line treatment currently available was once in the clinical trials stage.